However, you need to have an effective plan in place to ensure your tech solutions will be a help instead of a hindrance for your organization. Document each step of your tech strategy to help you stay on track. The first step to developing your tech strategy should be to maximize the use of your nonprofit’s website. Because your website is the heart of your online presence, it is an essential tool for every aspect of your strategy, especially donations. With all of the right tools on your website, you’ll be able to drive more donations. Let’s jump in to see how each of these online elements play into your overarching technology strategy to boost your nonprofit’s mission! Your donation page is the first place your donors will look in order to give to your organization. Therefore, you’ll want to maximize its impact as an essential player in your overall donation strategy. Keep in mind that some donors may feel uncomfortable being redirected from your organization’s domain to a third-party site in order to give. While it’s possible to use an outside service provider to establish a donation page, you could lose valuable donors in the process of switching to the payment provider’s page. More effective than going through an outside service provider is choosing a CMS provider that offers native donation page building. When you build the page directly on your site through this website builder, you can collect donations through your own website and eliminate the anxiety of donors about switching domains for the giving process. Maintain organization brand and colors. Using consistent branding throughout your website as a whole, including the donation page, is important for establishing trust in your website. Keep your donation page in the same brand as your site to secure the idea that they are giving to you and not to some third-party company. Use a compelling call-to-action. Make sure your final step on your donation page is easy to find and that it is eye-catching for your donor. We suggest using an element that stands out like a button of a different color using words like “Donate Now” or “Submit” to make it obvious that this call-to-action is the last step. Limit the donation page to a single page. While it can be tempting to include a lot of questions on your donation page to gather information about your donors during the donation process, try to resist the urge as much as possible. Keep your donation form short enough to fit on a single page and make sure the donation process is as streamlined as possible. 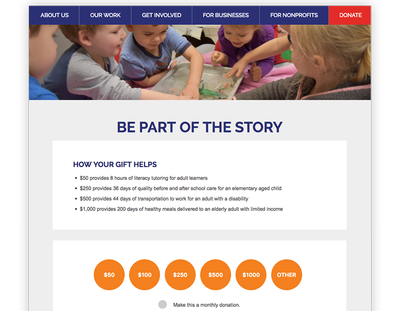 If you’re looking for more ideas about formatting your donation page, just look to other nonprofits as examples. Browse through the best nonprofit websites to find one that is similar to your cause. Then, try to identify the factors that make it great! Contact forms are the perfect marketing tool to help your nonprofit organization promote donation opportunities and encourage your supporters to get involved in your mission. Make sure your website platform offers form builders so that you can make the most out of this aspect of your marketing strategy. Offer an e-learning opportunity in exchange for contact information for your readers. If you have an informational e-book or other valuable content that you can offer to your supporters, try using this as an incentive for people to fill out your forms. After they give you their contact information, they’ll gain access to the exclusive content. Offer a subscription option for your blog. Give your supporters the option to receive email updates when you post new content on your blog. Help them stay up-to-date by allowing them to subscribe directly on your site. When you choose to incorporate forms and donation pages on your website, be sure you have the proper security settings on your site. First, you’ll want to make sure your website builder can’t be easily hacked by outside forces. Open-source platforms power a large portion of the internet, making them especially susceptible to hackers. 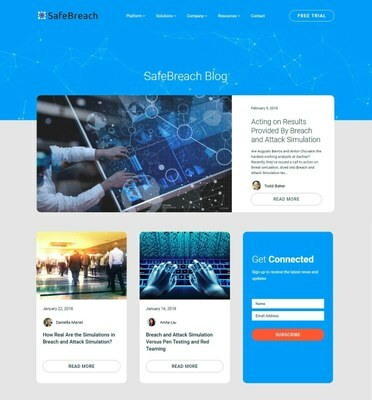 While new security updates are frequently made available for sites built on these platforms, it is up to the user to run these updates, which often doesn’t happen in time. Closed-source or proprietary platforms, on the other hand, often run these updates on behalf of their users so everything is as secure as possible, as soon as possible. You should also make sure your site has specific user permissions in place so that your users’ contact information is only made available to those who need it. Once you have access to your supporters' information, you can directly appeal to them for donations. Send donation request letters as emails to those who sign up on your site. Your blog is a powerful tool for telling your nonprofit's story. It's an effective way to spread the word about your great deeds and to foster relationships with your supporters through descriptive storytelling techniques. When you foster relationships through an active and informative blog, you can help boost donor retention rates. An easy editing tool. Your website builder should give your nonprofit full access to customize every element of the blog posts. You should find it easy to draft, edit, and format your blog posts to best appeal to your readers. Post scheduling. Write your blog posts in advance and schedule a calendar that helps you make sure they go out right when they will drive the most engagement. For example, a blog post with updates about #GivingTuesday must be strategically scheduled to go live before the holiday arrives. Preview capabilities. While a blog post may look great in the back-end viewer window, it could look entirely different on the front end. Before it goes live, you should be able to preview your post to make sure it looks exactly how you’d like it to. Sharing widgets. While your blog is the proper location for long-winded updates and stories, these stories can still be shared on other platforms through your blog. Include social media widgets on each of your blog posts to make them easy to share on popular social networking sites. The trick to including all of these features is finding them on a non-technical CMS platform. Look for a platform that offers all of these options natively. Popular open-source sites like WordPress or Weebly may offer these features through various plugins and third-party providers, but knowing which plugin to get and how to properly use it can be incredibly difficult for users without a technical background. Check out Morweb’s CMS website design tips to learn more about how to customize your website with essential features like a blog engine. Social media is another powerful online tool that can be used to drive donations through your website. These social networks can help your organization build relationships with your supporters by keeping them updated about upcoming news and events. Social channels are also great for linking people to your donation page. Integrate your social media with your website by embedding live feeds to your site. This will make it easy for donors to engage with your social media accounts from your site. As referenced in section 3, make sure your supporters have the ability to share your blog posts on social media. Articles shared by your supporters will help spread the word about your cause and open up new opportunities to introduce more people to your organization, improving your cold outreach for more supporters. When your site is effectively integrated with your social media pages, you’ll have a digital back-and-forth conversation between the two platforms. People will be able to follow your site to your social media platforms, or follow your social media platforms back to your site. This multi-platform approach is key to improving donor retention because the increased exposure to your organization’s mission will keep your nonprofit at the front of your supporters’ minds. Remember that social media is a tool just like your website; and using this tool effectively is key to driving support for your cause. In addition to asking for donations through your donation page, don’t forget that event registrations also makes great donation opportunities. Whether the event registration is free or not, you can still garner quite a few donations with this tool. 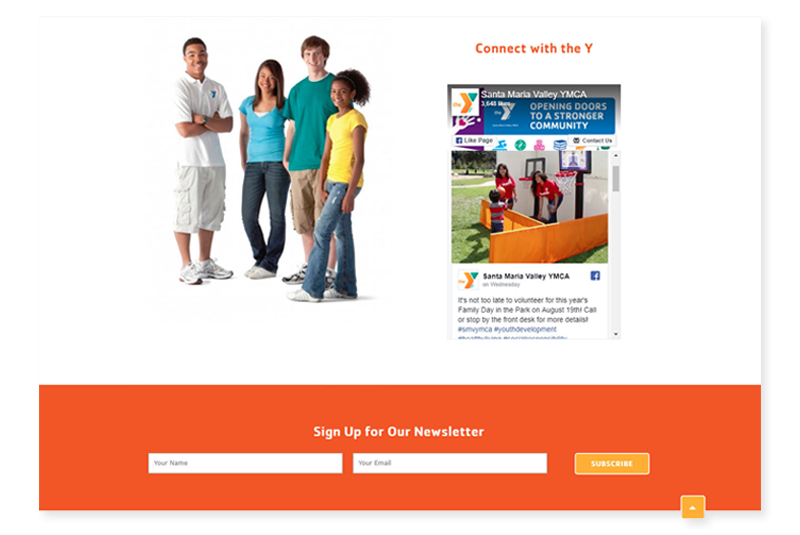 Create an events page on your website. 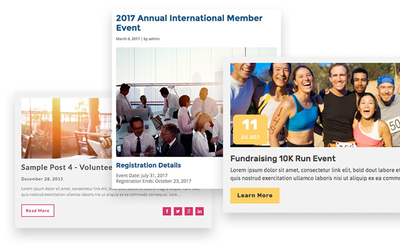 Instead of hosting the information page on an external site, like Facebook, leverage modules offered through your CMS to build a page specifically for your events. Make it easy to register on your events page. When it’s easy to fully customize your event page with a registration option, you won’t need an external plugin to allow people to register. This ensures data security, as it’s all administered through your website. Use your social media integration to share this event page on your social media accounts and link back to your site so that your supporters can access it from any platform. Include a donation option as a part of your registration process to further drive donations from your attendees. Once people have committed to attending, you can better plan your event to cater to your exact number of supporters showing up. Finally, an online store is an easy way to raise more through your website. When you can provide something in return for a donation, people may be that much more tempted to give. These are just some suggestions of items you can offer through your online store. Hopefully, they sparked some more ideas for your organization to share with the world. For more information about how to raise money online, check out Bonfire’s top fundraising ideas. You may just find another idea you had never considered before! Building your online tech strategy to drive more donations doesn’t need to be a hassle. Start with the best tools, then focus on growing your online presence. Now go out and get started! Murad Bushnaq, Founder and CEO of Morad Media and Morweb, is a man of many hats. Since its inception in 2004, Murad has acted as Creative Director, Technologist and creative problem solver. 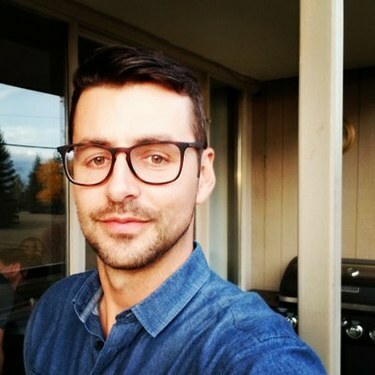 He is dedicated to helping nonprofits and associations to grow their online presence with Morweb, a robust website platform and content management system. Morweb helps nonprofits and associations achieve the greatest fulfillment of their vision online through software tools, design services, and extensive experience working with social purpose organizations. Learn more about their services.